I’m going to address this first because it comes up a lot, which makes sense because I was a very vocal supporter of the workout since I started about a year and a half ago! (Remember this post?) I’ve had a weak core and back pain for the past few years and knew I needed to do a better job addressing that discomfort since it affects me on a daily basis. I’d heard great things about pilates and after doing a two week trial at Flow last May, decided to get an unlimited monthly membership which was about $50 less than my OTF membership. 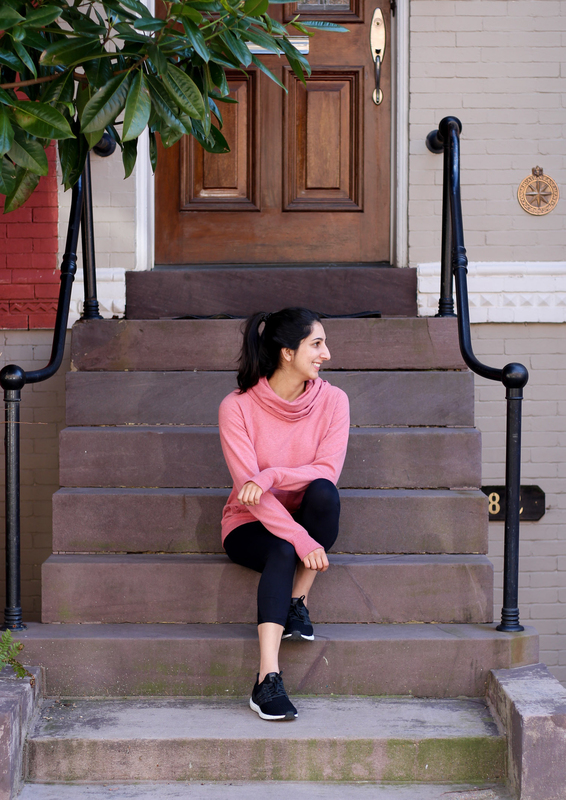 I kept this up till the fall but hated consistently paying $250 a month on fitness–it was an especially tough pill to swallow during busier weeks when I couldn’t even make it to a Flow class. My back had also been acting up on the rower and that’s a third of the designed OTF workout. I would sometimes modify with the bike but love rowing so would push myself to do it and end up in a lot of pain before and after class. My new job + the holidays made it a good time to drop OTF, so I switched over to just having my Flow membership (they’re a yoga studio but have a few pilates + HITT classes, which are what i take the majority of the time). However, I do still highly recommend OTF–it served me so well and I’d definitely still take a class here or there! 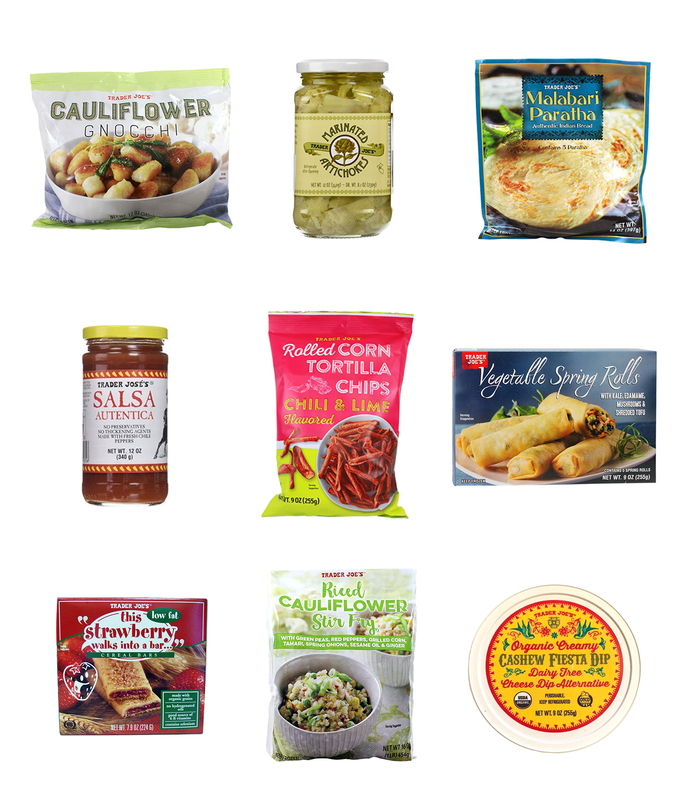 You guys, I have such a good roundup of Trader Joe’s favorites for you today! These are some of my favorite posts to put together and it sounds like you guys love them, too. (Here are the others!) We do pretty much all our grocery shopping there and always experiment with new finds. This batch has some of my all time favorites–leave yours in the comments below! Cauliflower Gnocchi: I’m not sure how this hasn’t made it into one of my past roundups, but TJ’s Cauliflower Gnocchi may be one of the best things they’ve ever concocted. There’s a reason why it’s always sold out and if you’ve cooked it before, you know it’s better to sauté it over medium in some olive oil instead of follow package instructions. We always have a bag in the freezer–it’s perfect as a meal or as a side with some protein! Marinated Artichokes: I can’t believe it took us so long to pick these up–they’re the best salad topping if you like artichokes! A jar goes a long way…I’ll add three or four artichoke hearts per serving and break them up with a fork and knife. The marinade goes nicely with most dressings, too. They’re now a staple in our household! 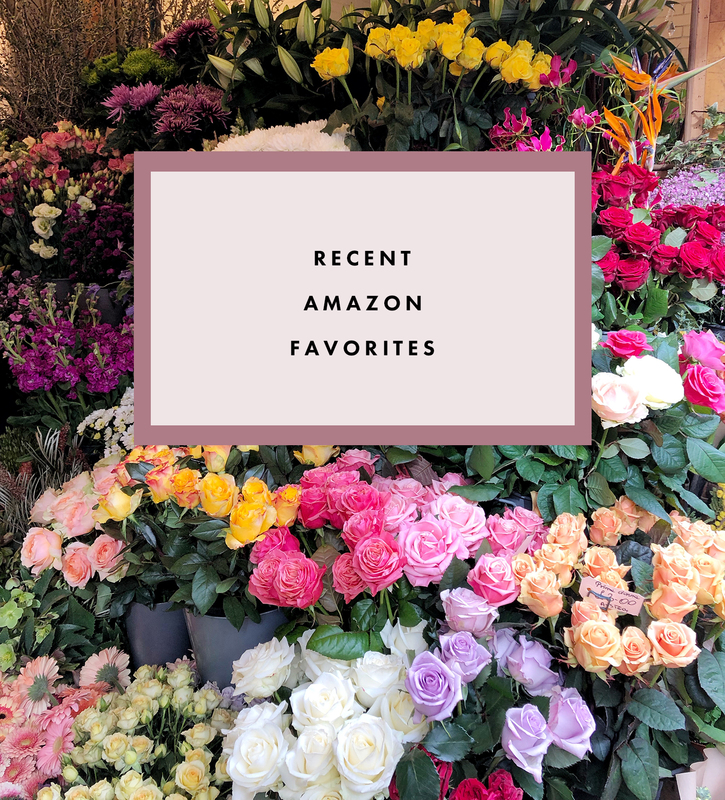 It’s been a minute since my last Amazon post, and given how well that performed (apparently you guys are also excited by Lobe Wonders, and thanks to Grace sharing it in one of her weekly roundups! ), I wanted to share my recent Amazon favorites. A couple are frivolous but all are practical…hopefully you discover something new and useful! It’s kind of embarrassing how long we’d both had our pillows…mine was from freshman year of college! I also recently heard a segment on the Today Show talking about how you’re technically supposed to replace your pillows yearly. While that’s more than I’d ever plan to do, we definitely needed an update. There’s a reason this pillow is rated so highly on Amazon–it’s also the top pick on Wirecutter, a site that we swear by when making many purchases. I love that you can adjust the amount of fluff to tailor it to your personal taste! It felt pricey for a pillow but considering you sleep on it every night, the “cost per wear” is certainly low!